Latest news and updates from Distinction Dunedin Hotel and the wider Dunedin communities. 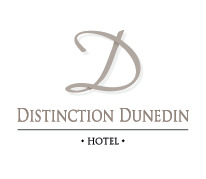 Distinction Dunedin Hotel offers FREE unlimited WIFI to guests during their stay. Enjoy complimentary access to the Air Fitness Club Gym during your stay at Distinction DUNEDIN. Located on the 3rd floor of the hotel and open 24/7. Book your accommodation now at Dunedin's premier hotel.